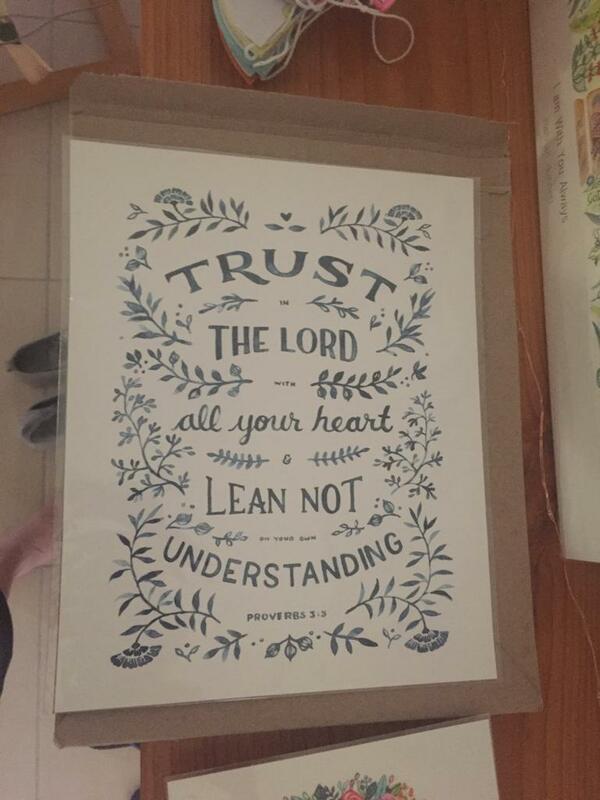 This artwork features watercolor illustrations and lettering of Proverbs 3:5. 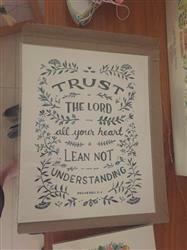 This print is a great reminder for anybody who wants to trust God with their life. I placed this on the wall at the bottom of my stairs, and I see it whenever I walk down them. It's a beautiful piece, and the message is such a great reminder to continuously see. I love it, and the color matches my decor perfectly. I love both of my beautiful prints. The quality is amazing and the colors are lovely. God's Fingerprints - such a gift! Whilst only a small fragment of the being a fingerprint represents, its significance is huge. The same can be said of Jason's artwork and this artistic representation of Prov 3:15 illustrates the point beautifully. I love the way the artwork serves to magnify the significance of the words in this verse, words that so need to be 'heard' in the current 'selfie' world we see around us. Keep up the good work, Jason!